My friends at NESTEA helped to make this post possible. I often find that some of the greatest joy in life is found in the simple things. It seems so cliche, but it’s true. This past week, I spent some much needed time away from everything with my little family on a short vacation. Being able to unplug and disconnect is super important for me being that I do what I do. I always find that unplugging recharges me like nothing else. It gives me time to enjoy the things around me. It gave me the opportunity to sit and watch my little boy play in the sand. And I don’t mean while looking over the top of my phone. I mean actually sit and watch him and hear his laughter as the waves reached the little moat he built around his sand castle. It allowed me the chance to enjoy the cool wind across the patio at brunch one morning because I wasn’t occupied with trying to Instagram pictures of my food. So many times, the busyness of everyday life keeps us from being able to stop and enjoy the little things. It’s important to stop and just take it all in some times. The same thing goes for food. Often times I feel like we make things so much more complicated than they should be. Along the same lines I feel like, for me at least, the simple things are often the best. 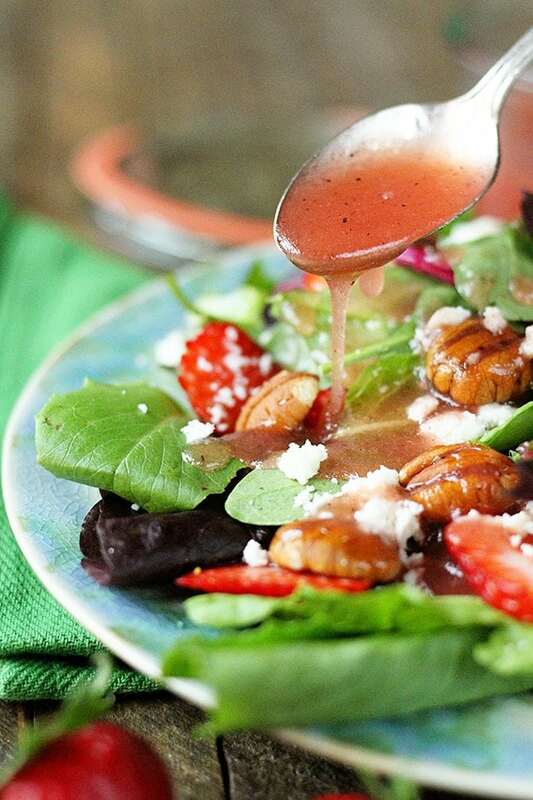 As silly as it sounds, this dressing is the perfect example. It’s simple, easy, and uncomplicated. It only calls for five ingredients and two of those are salt and pepper. 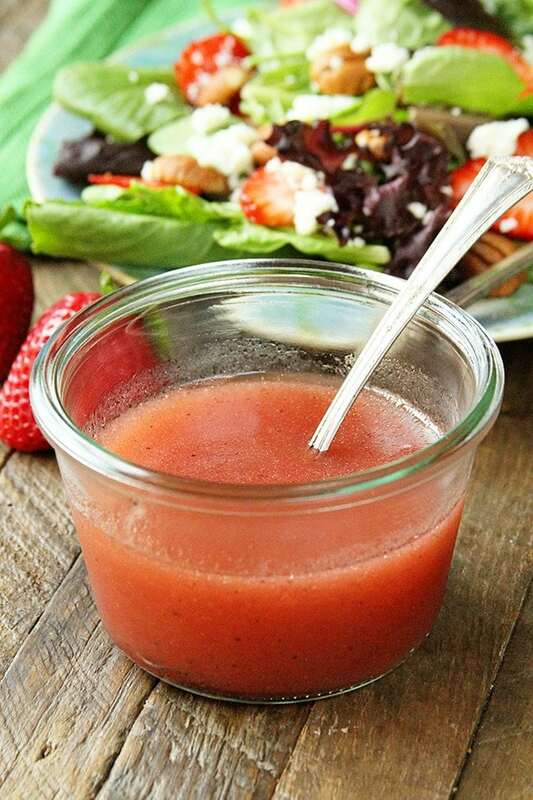 I love sweet and tangy vinaigrettes like this all year round, but especially over a fresh summer salad with berries and some crumbled sharp blue cheese. And because the dressing is so simple and so easy to make, you’ll have more time to spend with your family and to enjoy those “little things” in life that bring us such great joy. My friends at NESTEA are all about simple and uncomplicated as well. 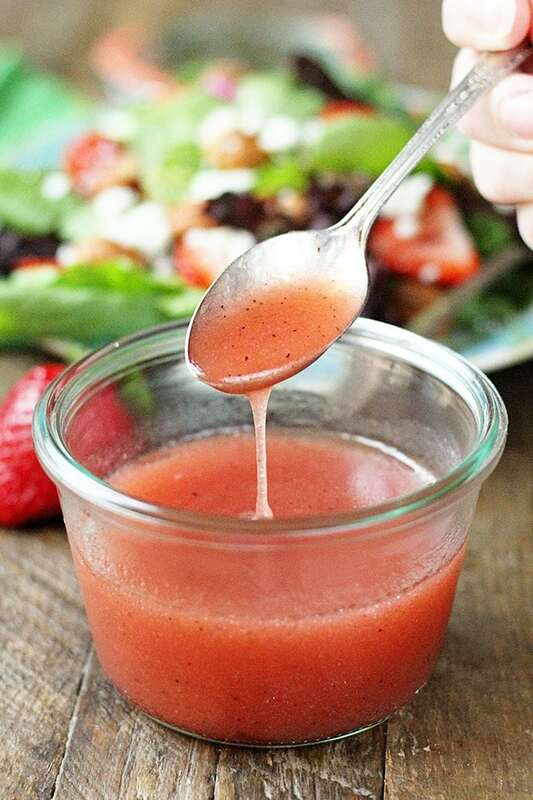 They truly believe that, just like this dressing, fewer ingredients are often better. That’s why their new real-brewed variety of teas are made with just tea, sugar, citric acid, and water. Having tried all the varieties, I can tell you that the new simpler recipes are a vast improvement. 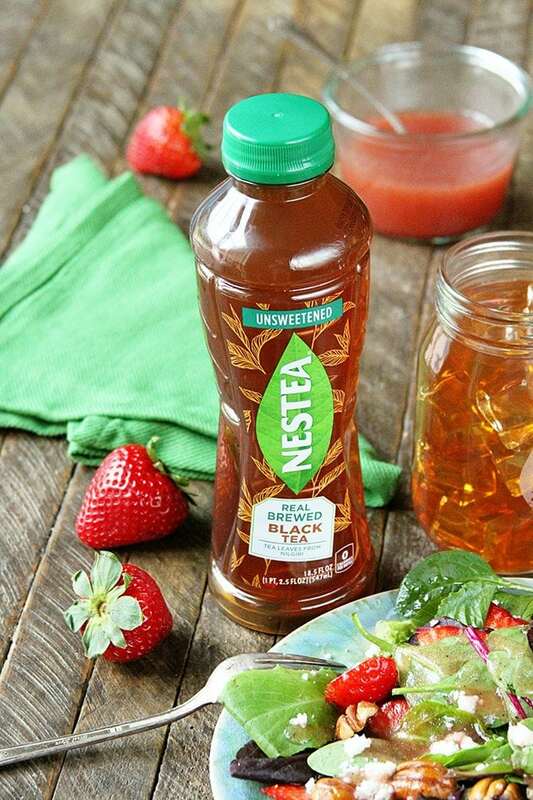 We love the fruit-flavored varieties but are true fans of the new real-brewed iced tea. You can try them, too! Snag a free sample by visiting NESTEA.com. Combine the ingredients in a blender and pulse until well combined. Store in the refrigerator for up to two weeks. It’s called -stop and smell the roses, only in this case it’s strawberries. Stacey, while your wonderful post is regarding a strawberry vinaigrette, I had to let you know I made your recipe for Loaded Baked Potato Salad last week and it was amazing! Baking the potato chunks prevented them from crumbling (unlike boiled potatoes) when mixing in the mayo, sour cream, etc. As soon as I pick up another bag of russets (don’t like the taste of red potatoes), I will make another batch. Thank you! That’s fantastic, Jane! I’m so glad you enjoyed the potato salad! I’ve started doing my potatoes like that more often and think it really adds a new depth of flavor. 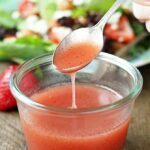 Hey Stacey, I love vinaigrette dressing and can’t wait to try this recipe. As lots of others nowadays, I’m watching carbs and calories. Can you tell us how many of each and serving size? If not that’s ok, I’ll still make it and give it a guess for the food journal I keep. Hi Celia! I don’t share that info because of the various product brands that could be used in the recipe would change the calorie counts, etc. I recommend finding the products you’d use and heading to myfitnesspal.com to calculate them for yourself to make sure they’re accurate.